National business news channel, CNBC, has recently interviewed the MD of Synthite for its program “Making It Big Season” series. Synthite Corporate House and the Technology Centre inaugurated. Synthite’s Bio Ingredients division processes raw spices to extract oleoresins while retaining all their original characteristics. Synthite’s Spice Division offers whole, powdered and processed spices that are manufactured by applying global safety standards to ensure quality and taste. A savoury powerhouse manufacturing savoury flavour seasonings and packaged savories. 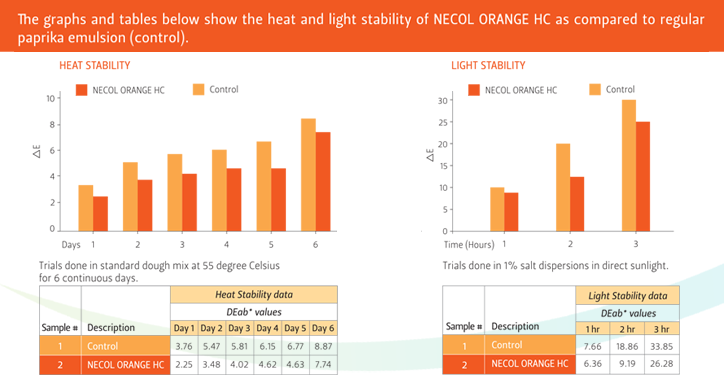 Designing and producing sweet and savoury flavour solutions for the global food, beverage and pharmaceutical industries. The Green Pepper and Hydrolyzed Vegetable Proteins specialists. Synthite’s backward integration initiative focusing on traceability and farmer training & support. The most elegant scented plants are processed at Synthite, producing a range of exquisite floral extracts and classical spice essential oils, best suited for perfumery, cosmetics, and wellbeing markets. Luxury homes and apartments in semi-urban settings for esteemed property seekers in Kerala. Ramada Cochin and Riviera Suites, two waterfront properties, are the epitome of luxury sojourns in Cochin. An organisation thrives on profit. Profits are not only about toplines, bottomlines and balance sheets. Profit must extend to our people, our community, our state, our nation, our environment and humanity at large. This is a belief we hold very dear to us. This is the firmament of our CSR activities. We have strived hard to share our success with the people and communities that have helped us get there. We work with nature, caring for it, rather than exploiting it.And for these deep-seated reasons, we've established the CVJ Foundation. The foundation is an umbrella organization that focuses on education, health care and housing schemes for several villages in Southern India. And the foundation looks at both improving and sustaining facilities for its people. Named after our visionary founder, Mr. C.V. Jacob, the foundation works towards driving social change for the communities in the regions we operate. And to this effect, it is not surprising that our foundation has made significant improvements in the quality of life of these communities. At Synthite, we believe in people’s strength. We empower them and work to better their lot, right from the grass roots level. We've put in place a variety of schemes like Parppidam, Spandanam, Prakasham, Vidhyadhanam and Suraksha, to achieve just that. Environment has always taken pole position in our decision-making. We understand that what we're today is a sum and substance of what the environment has given us. And we are grateful to give back. For this, we leverage our financial and technological resources to reduce our carbon footprint and make a positive impact on the environment. 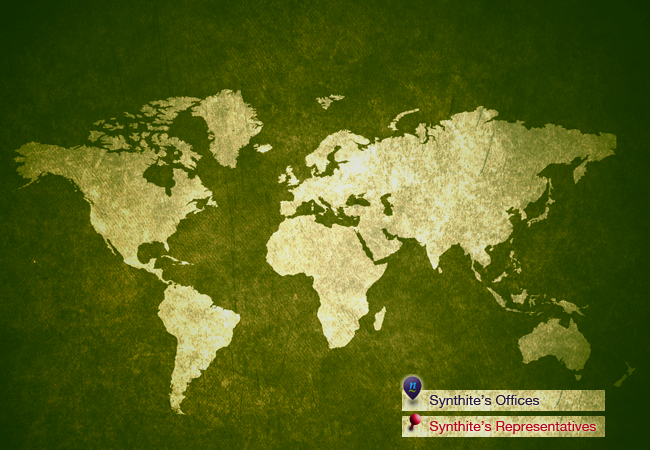 At Synthite, we are led by our ideals and actions. And we believe they can make the change we want to see, and pave the path for a brighter, better tomorrow. SPRIG is our foray into the world of premium gourmet products and ingredients. With a range of natural vanilla extracts, world’s best whole spices, seasonings and more. Move over chemical colours. 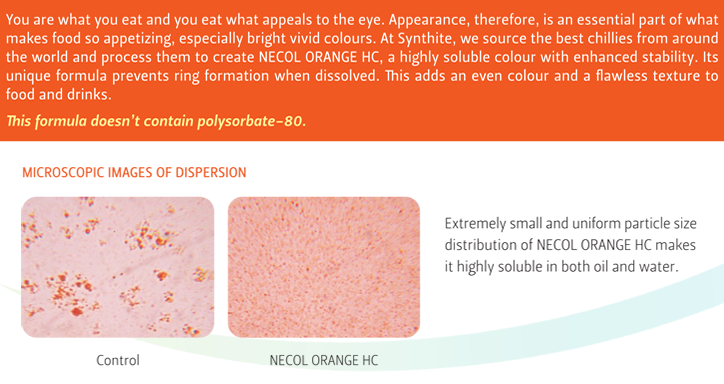 Synthite introduces the goodness of all-natural colours with Necol. This range of natural colours is standardised and customised for a wide range of applications across various industries. Synthite brings the effectiveness of antioxidants to the commercial food sector with Neaox, a range of natural antioxidants. These blends inhibit free radical auto-oxidation and prevent the oxidative degradation of food. Traditional medicine meets new age food technology. 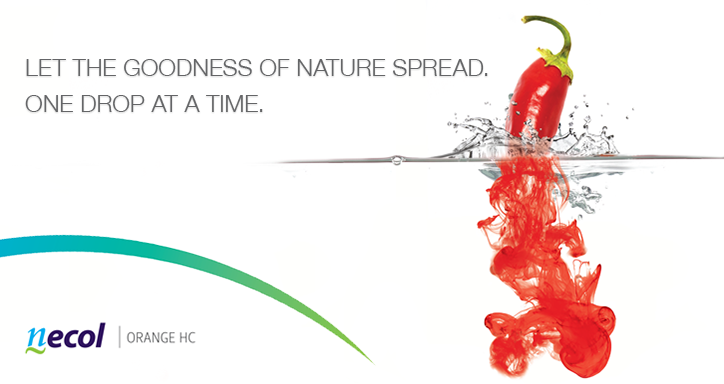 That's what you get with NatXtra, our wide and efficient range of health and functional food ingredients. You can choose from Ginger, Lutein, Piperine, Curcumin or Green Tea. India is known for its diversity, both in cuisine as well as spices. With Kitchen Treasures, we bring a premium range of the finest spices from across India, to your kitchen.